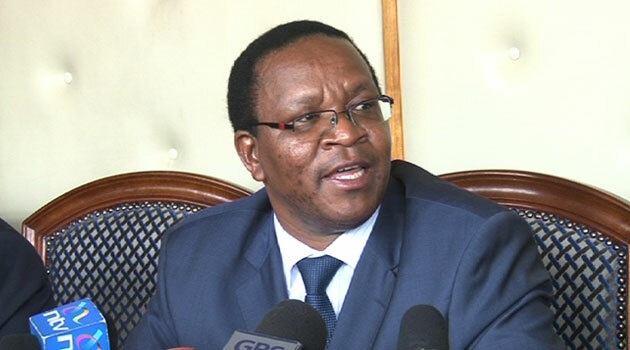 Corruption has grown by at least 240 per cent since President Uhuru Kenyatta and his deputy, William Ruto formed government in 2013, Interior PS Karanja Kibicho has revealed. In a sworn affidavit dated June 8, the PS lists corruption cases that have cost Kenyans their hard earned money through flawed procurement processes since the duo took over the reigns of power in 2013. The PS was responding to a decision by the Employment and Labour Relations court that set aside President Kenyatta’s decision to have all heads of procurement step aside. PS Kibicho in the affidavit says that there was an irregular purchase of a computerized conference management system at Kenyatta International Conference Centre at Sh.597 Million. He also notes that a defective printer at the Kenya Bureau of Standards was purchased at Sh.300 million and an illegal land purchase by the National Housing Corporation at a whooping Sh.400 million. Statistics show that before the Jubilee administration formed government, there were at least 3,355 graft cases but have grown to 8,044 cases. The PS says it is ‘fair and just that the order be vacated’ so as to ensure that graft suspects do not escape justice. The President has vowed to fight graft as he looks to achieve his Big Four agenda which has been hugely undermined by the numerous corruption cases. He, during the Madaraka Day celebrations assured the people that more state officers implicated in corruption scandals will be arrested. Those suspected to be behind the Sh.468 million NYS Scandal, among them PS Youth Affairs Lilian Omollo and NYS Director General Richard Ndubai remain in custody alongside 42 others.